The PST sulfation pathway is necessary for the breakdown and removal of certain toxins in the body. This includes the processing of a type of chemical called a phenol. Phenols are a regular and necessary part of life. All foods contain some phenolic compounds. However, some foods have a much higher content than others do. If the sulfation pathway is not functioning well, as with many children with autism, a person may not be able to process out the phenolic compounds as fast as they consume them. There is a cumulative effect. When the phenols start backing up in the system, it can cause a myriad of negative reactions. Symptoms of phenol intolerance include night waking, night sweats, irritability, eczema and other skin irritations. The symptoms of phenol intolerance and yeast may be very similar because they both involve the body trying to deal with toxins. The detoxification pathway processes other phenolic compounds including salicylates (a subset of phenols), artificial food colorings, artificial flavorings, and some preservatives. Besides requiring PST, research has found the salicylates further suppress the activity of any PST enzyme present, making matters worse. Food dyes also have been shown to inhibit the PST enzyme. See Health Benefits. Epsom Salt supplies readily absorbable sulfates/sulphates which attach to phenols and sets them up for being excreted via the kidneys. The role of sulphation may well be one of the pivotal factors in the causation of autism, yet it is poorly understood and has received scant attention. The role of sulphates in the immune system, in the effectiveness of hormones and in maintaining the integrity of intestinal function, kidney function and detoxification system is deserving of much greater attention than it currently receives. Owens (1998) has drawn the attention to the importance of sulphation issues in chemical bodies called GAGs (Glucosyl Acetyl Glucosamines) which have huge implications for many functions including brain development. Processes involving inflammation, such as that which would result from infections that may be acquired naturally or from introduction through vaccine programmes, will result in stripping of the sulphate containing GAGs from the intestinal wall. Owens has suggested that these GAGs will form the main reservoir of sulphates held in the body. Therefore, any lingering inflammatory process will result in sulphate depletion. Waring (2000b) has also presented data indicating that the conversion of sulphite to sulphate is severely inhibited after immunisation of adult students against hepatitis B.
Sulphate ions are poorly absorbed from foodstuffs but may well be better absorbed through the skin. That is the rationale for the use of Epsom Salt (Magnesium Sulphate) in the bathwater of children with autism. (Taken from The Sunderland Protocol – a paper presented at the Durham Conference 2000). Sulphur is so critical to life that the body will apparently borrow protein from the muscles to keep from running to low. Many systems in the body will not function well in a low-sulphate environment. One of the things it influences is the hormone that helps humans recognize faces and ” socialize “. Increasing sulphur in the body can improve socialization and related issues. If growth factors were bankers, sulphate would be their money. Growth factors use sulphate to do their business. That is why it is known that if you become VERY deficient in sulphate you will stop growing if you are a child, or you will start to break down (catabolize) your own muscle to make up for this deficiency. That means if your child has not been growing, and has very flimsy muscles, you should be concerned that their sulphate chemistry may be hurting. When this happens in very sick adults, it puts them into a state called cachexia, a wasting process that happens in Alzheimers disease, Aids, Cancer, and an autism spectrum disorder called Rett Syndrome. Dr Rosemary Waring, a biochemist researching the sulphate levels in autistic children, found that most people with autism conditions have a deficiency in a key detoxification pathway. The pathway involves using sulfur in the form of sulfate (known as sulfation). 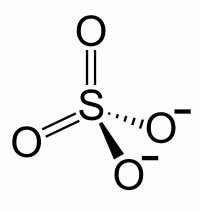 The enzyme involved is phenol sulfur-transferase (PST), but the problem is thought to hinge on an inadequate supply of usable sulfate ions, not the metabolic enzyme itself. Dr Waring has found that most autism spectrum kids, and lots of others with neurological conditions, are very low in sulphate and excrete higher levels of sulphate in urine. They may be as low as 15% of neurologically typical people. People with low or no ability to convert compounds to sulfate have problems handling environmental chemicals including food colours, artificial flavoring, and preservatives, some medications, and even some chemicals produced within the body. 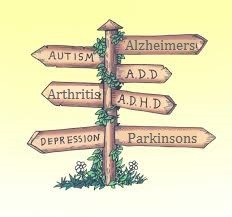 They include people with other conditions such as Alzheimers disease, Parkinsons disease, Rheumatoid Arthritis, and chemical sensitivities. Once the process had started it would continue on a slow, but steady, downward spiral. Sulphates in the blood help rid the body of waste products by making them water soluble and therefore easily excreted. Low levels of sulphate may lead to retention of toxins as the body may have more toxins to process than it can because of a lack of sulphur, which in turn may lead to bio-chemical effects on the central nervous system. See Health Benefits. Epsom Salt can provide essential sulphate in a readily absorbable form to unclog this ‘bottleneck’ by supplying more sulphur to increase the amount of toxins that can be processed from the body. As the body takes in more sulphur, more toxins are processed. Epsom Salts also increase Magnesium levels, relaxes & de-stresses the body, and gives you a good nights sleep. Reduced sulphation has been associated with inflammation, gut dysfunction, and increased permeability. Sulphates help to hydrolate (surround toxins with extra water molecules) toxins out of your body. 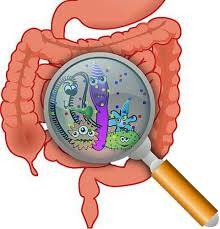 If the body builds up with toxins the gut can become permeable to indigested peptides from gluten and casein (milk products), which then travel to the brain looking like pseudo neurotransmitters, but actually acting as opiods. Researchers have noted that dairy and gluten digestion difficulties would be expected in people with low sulfation, lending credence to the gluten-free/casein-free diet approach for these individuals.